A school in Denmark is proof that saving energy through solar power is nothing short of beautiful. 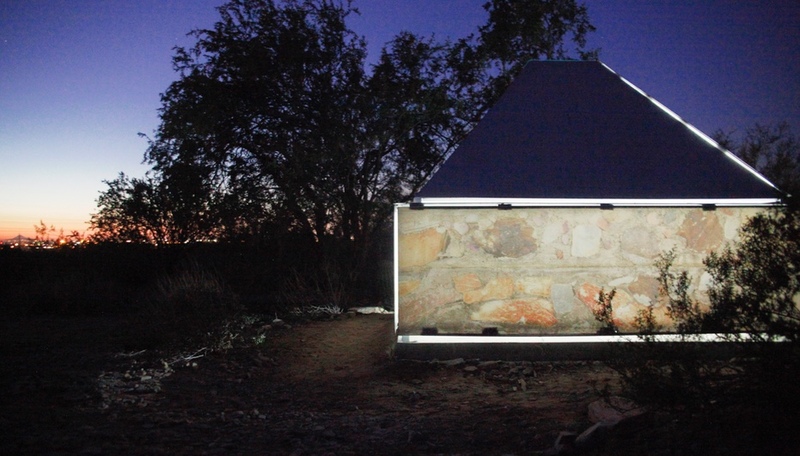 Could a building covered in solar panels also be beautiful? C.F. 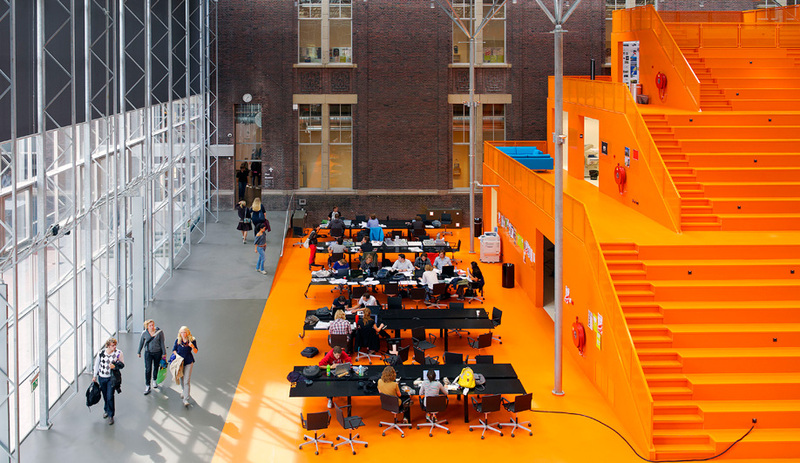 Møller’s latest project is changing the conception of what sustainability looks like. 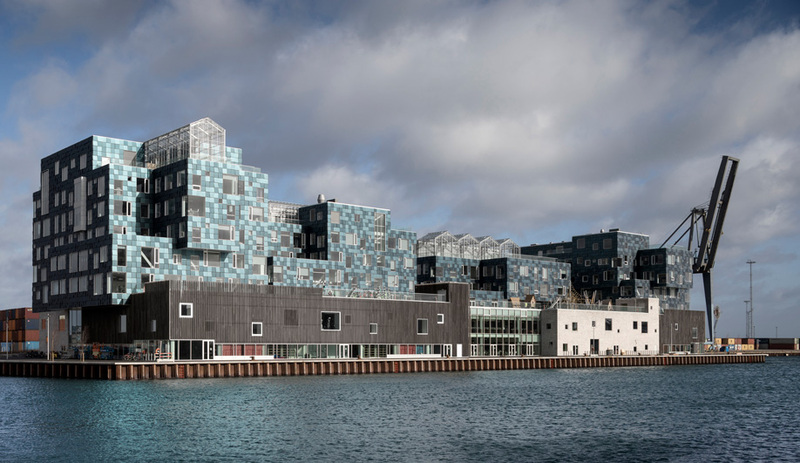 The Copenhagen International School’s Nordhavn campus boasts 12,000 solar panels, covering more than 6,000 square metres of the facade. The on-site solar-power plant provides more than half of the massive 25,000 square-metre school’s electricity. 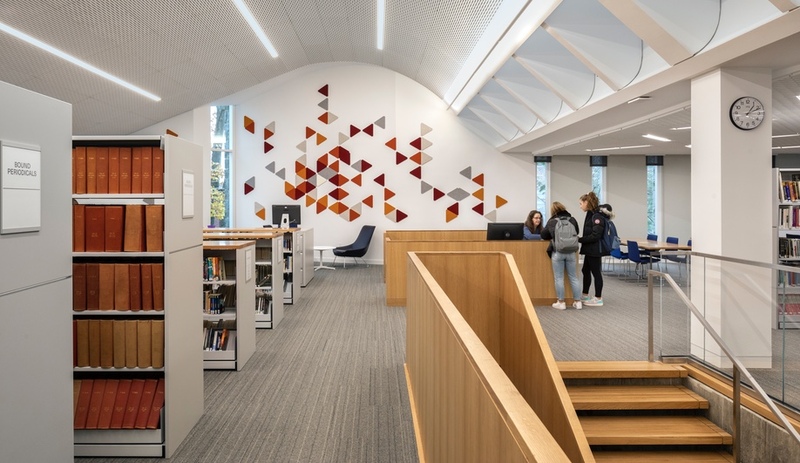 In brilliant sea green, the modules are individually angled to create a dynamic surface that highlights the school’s stacked-box form, which, says partner Mads Mandrup Hansen, was inspired by nearby shipping containers. 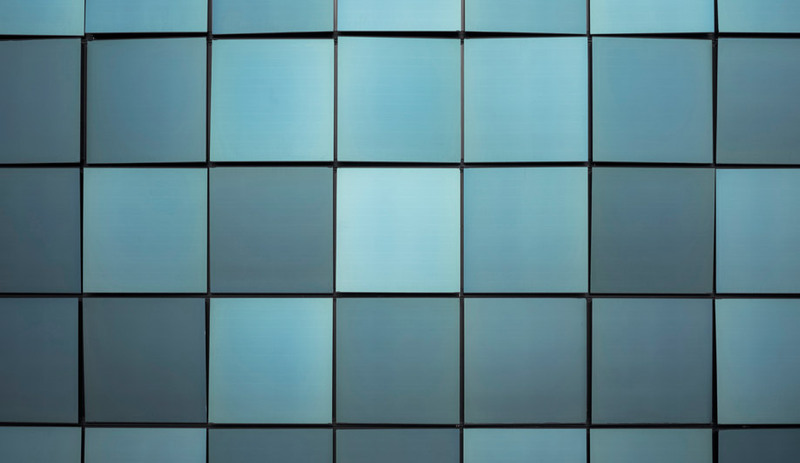 Adding a push and pull effect to the imposing building, the panels’ varied tones come from new technology, developed at Swiss research institute EPFL (École polytechnique fédérale de Lausanne), that imparts colour to the glass surface without pigment. A light-interference process applies fine filters to the glass, determining which wavelengths of light are seen as colour. What’s not reflected is absorbed and turned into useable energy. Custom manufactured for the project by Emirates Insolaire, the panels are now being mass produced as three by six metre modules that can be cut into smaller segments. “The square-format panels break the project down to a human scale when experienced up close, and from afar read as a seamless wrapping in flickering green hues, reflecting the surrounding harbour basin,” says Hansen. The firm worked to integrate the landmark with the community, a burgeoning area of Copenhagen. 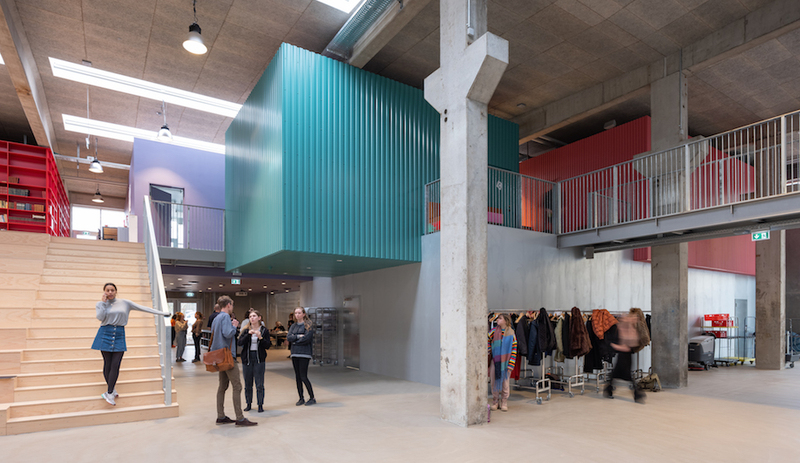 “The building is both inspired by and deliberately uses the large-scale architecture that occupies the industrial part of the harbour, which will soon fall short to transitional changes as the city reclaims the area,” says Hansen. It sets the tone for what else may be developed here, perhaps inspiring more green builds. While efforts to make solar collectors less obtrusive and more attractive have been of big interest of late, with Elon Musk and his subtle solar roof tiles leading the race, viewing solar panels as both primary cladding and key architectural components opens a lot of doors. 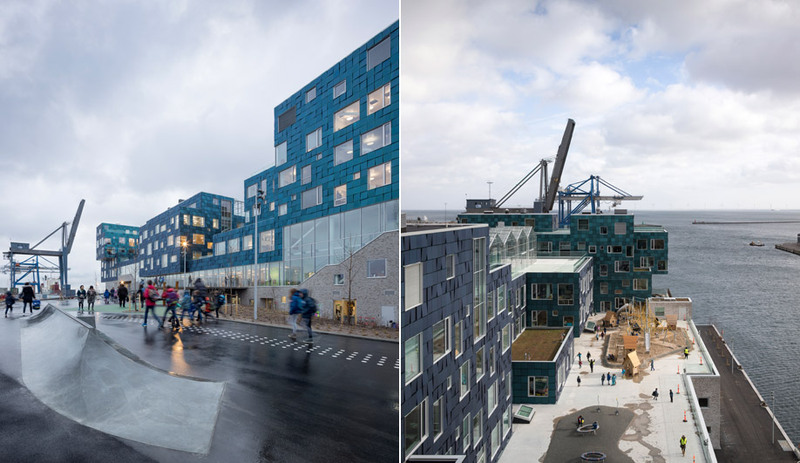 At the Nordhavn school, the panels are not just a value-added feature, but the star attraction.